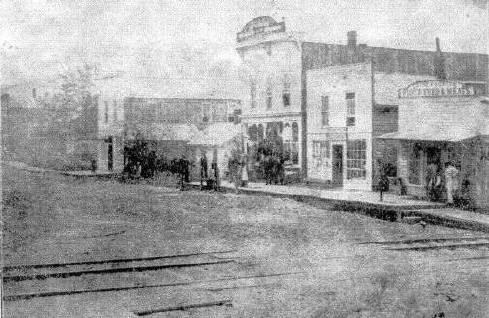 This is one of the oldest, if not the oldest picture taken of Bangor, MI. It was taken from the west side of the railroad tracks looking southeast on Monroe St. This is a copy taken from the Bangor Advance. It was published several times over the years. The original was owned by Maurice Russell, once editor and owner of the Bangor Advance. Mr. Russell and his wife were killed in a car accident in Indiana in the late 1930's. After their death, the photo seems to have disappeared. Living family members have been contacted and no one knows anything of the picture. It would be of great importance to the history of Bangor to locate it. If anyone has knowledge of this photo, we would appreciate hearing from you.